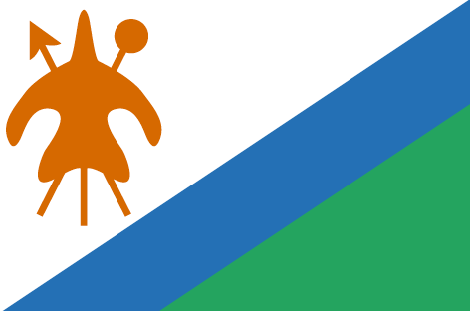 Quthing is the capital of Quthing province in southern Lesotho, about 140 kilometres south of the country's capital Maseru. HIV and AIDS prevalence in Lesotho is among the highest in the world. The pandemic, combined with deeply-rooted poverty and food insecurity, represents a constant danger to households on the verge of existence and, in particular, the well-being of children. SOS Children's Village Quthing comprises twelve family houses for up to 120 children, houses for the village director and the SOS aunts (who support the SOS mothers and take care of the children when the mothers are on leave) and an administration building. The district administration of Quthing is very supportive of the work of SOS Children's Villages and allocated land free of charge for the construction of SOS Children's Village Quthing. The plot of land is situated on the outskirts, with schools, markets and a hospital nearby. The architecture reflects the "Solid, Modest and Integrated" approach of SOS Children's Villages: the family houses resemble the local style of building and seamlessly fit into the neighbourhood. In its five playrooms, the adjoining SOS Kindergarten offers pre-school education for up to 125 children. In addition to the classrooms, the SOS Kindergarten consists of an administrative area, a playground and a kitchen for preparing the children's lunch. The SOS Social Centre runs a family strengthening programme, focussing on a bundle of services tailor-made to help HIV and AIDS affected families. In co-operation with communities and local authorities, families receive support to build their capacity in protecting and caring for their children (e.g. generating income, parental skills) and to gain access to essential services (e.g. education, medical care).